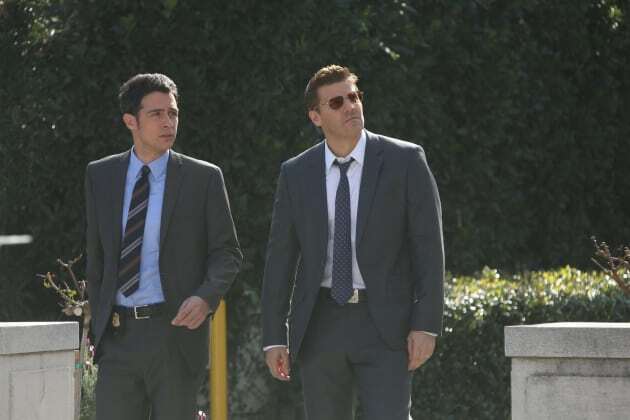 Booth and Aubrey investigate the murder of a private high school student. Bones Season 10 Episode 17: "The Lost in the Found"
Well look at this. The woman who is definitely not six months pregnant needs to sit. Permalink: Well look at this. The woman who is definitely not six months pregnant needs to sit. Brennan: I want you to know that I remember every single time we've made love. Booth: Wow. Right. Yeah, that came out of nowhere. I guess I'm flattered. Permalink: Wow. Right. Yeah, that came out of nowhere. I guess I'm flattered. 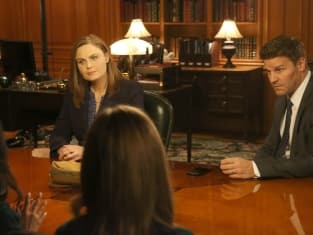 Bones Round Table: Who's in Denial?